The bryophyte herbarium was previously curated by A. J. Sharp (1934-1974) and D. K. Smith (1974-2015), and is currently curated by the Herbarium Director, J. M. Budke (2016-present). The collection was inventoried in 1995 and contained approximately 165,000 specimens. 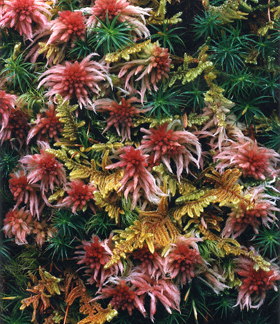 At that time, included were 254 known type specimens [59 hepatics (including hornworts) and 195 mosses]. An estimated 50 or more types are likely commingled with the general collections, based on our recovery rates over the years. For year 2007 the collection contains ca. 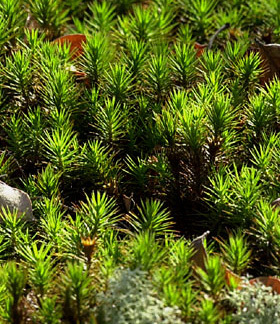 150,000 mosses, 20,000 liverworts (and hornworts), and 13,000 lichens. 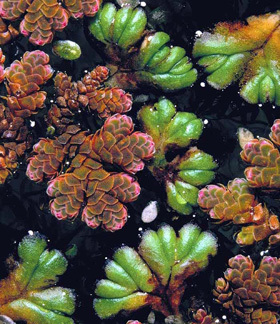 Stotler and Crandall-Stotler (1977) reported 119 genera of liverworts (including hornworts) for North America; of which 117 genera are represented in TENN. Anderson, Crum, and Buck (1990) listed 312 genera of mosses for North America; of which 305 genera are represented in TENN. The most recent world list of moss genera (Crosby & Magill 1977) enumerated ca. 750 genera. 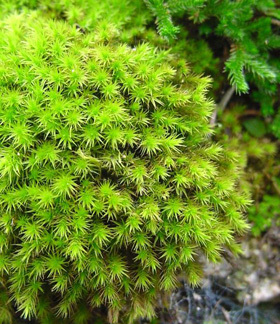 TENN contains 754 generic folders of mosses and we estimate 10% to be synonomic within the collection; thereby, distinguishing the moss collection as representative of 80-90% of the world's genera. The collection houses 183,000 filed specimens from throughout the World. The collection has a strong emphasis on North America [Pacific Northwest and Alaska, SE US], Mexico, Asia and Tennessee [Appalachian Region]. The collection is especially strong in collections from the Southern Appalachians and from Mexico, a result of extensive collecting by A. J. Sharp and other notable collectors.